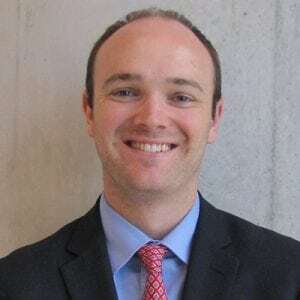 Dr. Alexander Fisher is a general surgery resident currently dedicating two years toward research at the Wisconsin Surgical Outcomes Research Program (WiSOR) with a focus in the areas of surgical oncology and health services research. His interests include surgical readmissions, transitions of care, outcomes research, and cost-effectiveness studies. He was awarded a 2-year grant from the American College of Surgeons to study the design and implementation of a post-operative transitional care protocol designed to prevent readmission after surgery. Alex grew up in Iowa City, Iowa, before moving to St. Louis and graduating with a degree in biology from Washington University. After pursuing basic science research in developmental biology and obtaining a master’s degree, he then attended medical school at University of Cincinnati where he graduated with AOA distinction. In his free time, Alex prefers to be outside as much as possible and enjoys golfing, camping, hiking, and jogging.